The English crown changes hands often in Henry VI, Part 3. At first, Richard, Duke of York, is allied with Warwick. York invades the throne-room of Henry VI with Warwick's army, but allows Henry to remain king if he makes York his heir—thus disinheriting Henry's son, Prince Edward. Infuriated, Henry's queen, Margaret, raises an army. York breaks his oath to Henry and fights for the crown. After Margaret and her supporters kill York, Warwick proclaims that York's son Edward is king. Edward, now Edward IV, captures Henry. Warwick breaks with King Edward and joins with Margaret to raise a French army. King Edward's brother Clarence joins with Warwick to capture Edward and free King Henry. Richard, now Duke of Gloucester, rescues his brother, King Edward, who returns, captures King Henry, and leads an army against Warwick. When Clarence abandons Warwick, Warwick is defeated and killed. 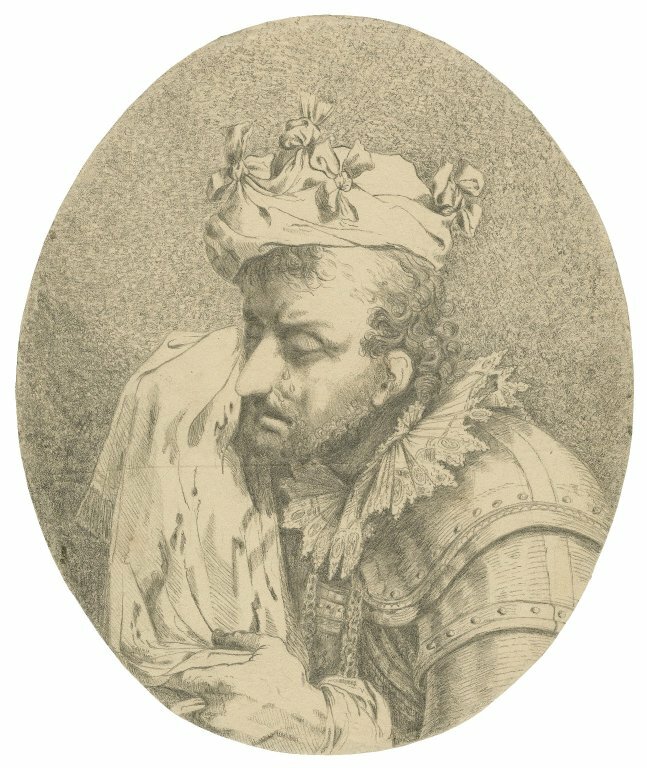 King Edward captures Margaret and helps to kill her son, Prince Edward. Richard murders King Henry and begins to plot his way to the crown. The textual history of the play we now refer to as Henry VI, Part 3 is (like Part 2) complicated. 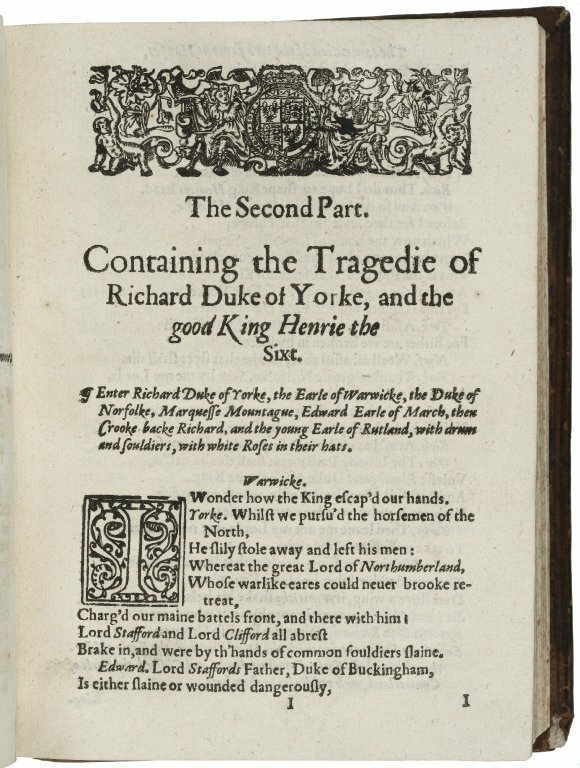 The play was first published as an octavo in 1595 with the title The true Tragedie of Richard Duke of Yorke, and the death of good King Henrie the Sixt, with the whole contention betweene the two Houses Lancaster and Yorke (O). This text was reprinted as a quarto with the same title in 1600 (Q1). 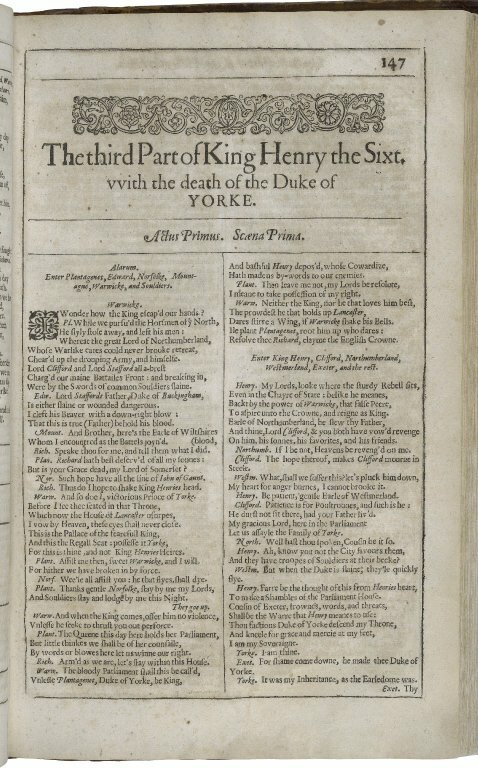 In 1619, the play was printed with the second part under the joint title The Whole Contention betweene the two Famous Houses, Lancaster and Yorke (Q2). 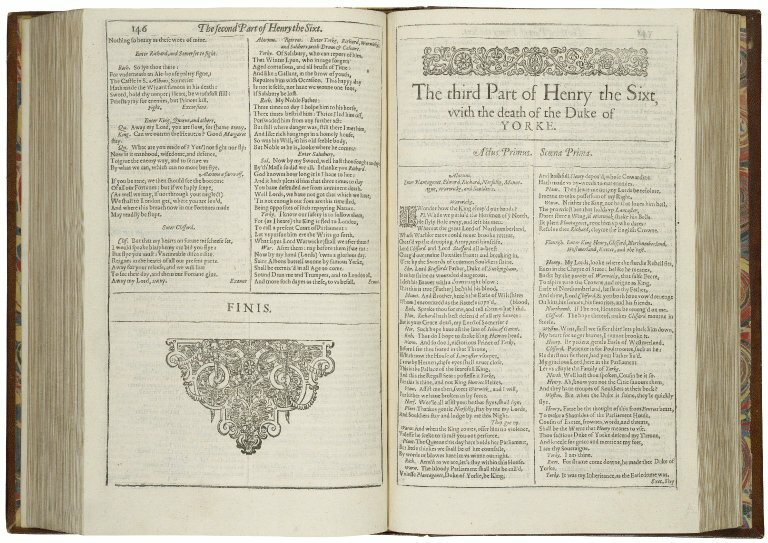 The play was included in the 1623 First Folio as The Third Part of Henry the Sixt (F1) in a version that is significantly longer than the earlier texts. Most modern editors, including those of the Folger Editions, base their texts on that of F1. As part of an NEH-funded project, the Folger digitized thousands of 18th-, 19th-, and early 20th-century images representing Shakespeare’s plays. Some of these images show actors in character, while others show the plays as if they were real-life events—telling the difference isn't always easy. A selection of images related to 3 Henry VI is shown below, with links to our digital image collection. [King Henry VI, pt. 3, portrait of York] [graphic] / [John Hamilton Mortimer]. Mortimer, John Hamilton, 1740-1779, artist. 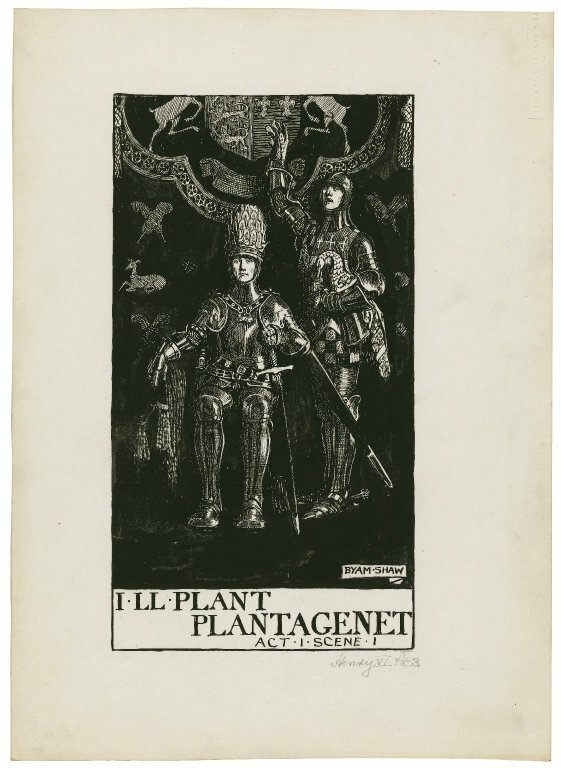 King Henry VI, part 3, a set of seven original drawings [graphic] / [Byam Shaw]. 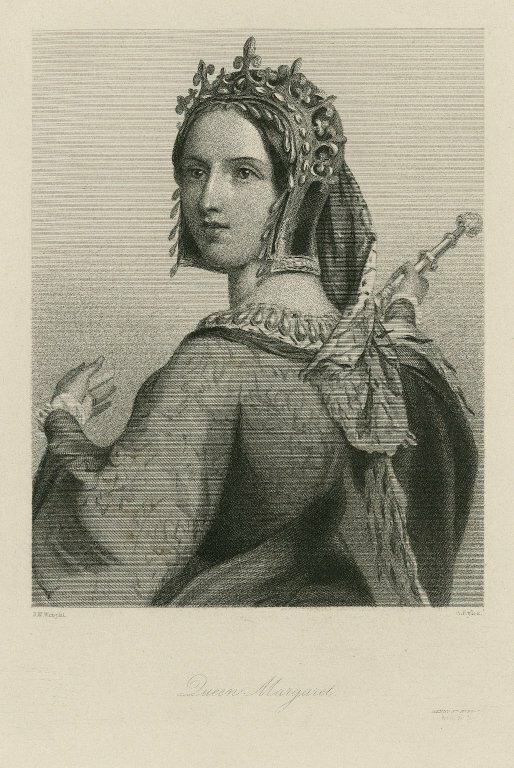 Queen Margaret, [character in Shakespeare's] Henry 6th, 3d part [graphic] / J.W. Wright ; B. Eyles.